As one of the largest global marketplaces, forex attracts a large volume of traders of different backgrounds and experience levels. Naturally, a market this popular also has its own mythology. Below, we’ve debunked the six most common misconceptions of forex traders. Misconception #1: It’s possible to predict the future. 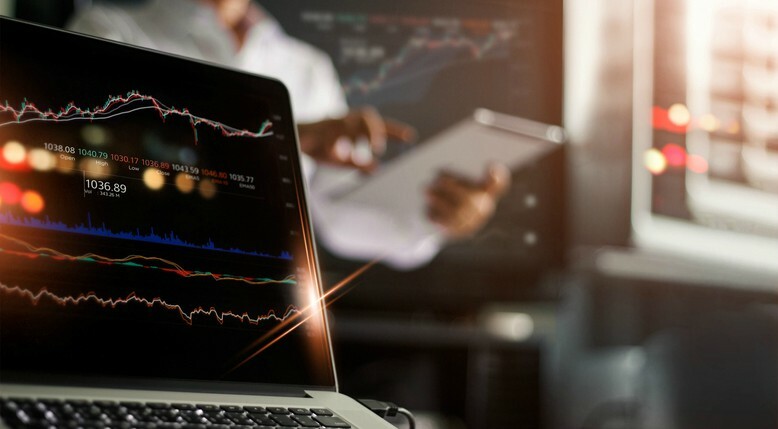 Forex traders tend to rely on analytical tools and algorithms to understand market momentum, identify support and resistance levels, and spot buy and sell signals. The better you get at using these indicators, the easier it is to forget that they aren’t crystal balls. Although statistical analysis can help you estimate the risks and rewards associated with taking a certain position, there’s always the possibility that the price will move against your expectations. Rather than an all-or-nothing approach to trading, forex ultimately favors those who take small risks and earn consistent, albeit smaller, rewards. Over time, this consistency and patience can add up to serious profits. You don’t need to predict when and how the market will change in order to be successful; the most reliable forex strategies are often those that trade in the direction of an existing, strong trend. It’s equally important to remember that statistical analysis isn’t a substitute for manual oversight. That doesn’t necessarily mean sitting in front of your computer all day, but it does mean keeping an eye on your trades and price movement and adjusting your strategy based on that new insight. Even if you think the market will move in a certain direction, you should still place stop-loss orders to minimize risk—regardless of what happens next. Misconception #2: More trades mean more money. If you’re making money by trading a couple of times a week, it’s intoxicating to think that if you simply double your number of trades, you’ll double your return. The truth is succeeding in forex isn’t about how many pairs you trade. It’s about how well you understand the market, how diligent you are in your oversight, how adept you are at managing risk, and how patient you’re willing to be. More trades come with more responsibility—and more inherent risk. It’s much harder to execute an informed, comprehensive trading strategy when you’re trying to manage a handful of pairs at once. Misconception #3: Forex favors day traders. Forex day traders are renowned for using a short-term trading strategy to profit from small market fluctuations that occur in a limited time frame. Because this type of financial trader is so prevalent, it’s easy to assume that forex favors this get-in-get-out-quickly approach. In truth, there are equal profit opportunities for long-term trading strategies that aim to capitalize on larger market trends. Such strategies demand patience and consistency and may require the trader to withstand small losses in order to reap the long-term payoffs. If they continue to trade in the direction of a strong trend, however, their net gains should eclipse their losses over time. Using a long-term forex trading strategy is also a great way to learn the market, practice assessing risk and reward, and make more consistent gains. Misconception #4: Net pip value (+/-) is a good indicator of your overall trading performance. Forex is unique in that market movement is measured in points in percentage (or “pips”) rather than a monetary amount. When you’re in the thick of a trade, it’s easy to focus on how many pips you’ve gained or lost over a given period and forget that pips aren’t an ideal performance metric. Pip value varies based on your lot size and the currency spread in question. While you may have gained five pips and lost two over the course of a week, that doesn’t necessarily mean that you’re in the black—or that your strategy is effective. To accurately evaluate your performance and hone your strategy, it’s important to look at the actual value (in terms of your native currency) that you’ve lost or gained over a given time period. Misconception #5: The more complex your trading strategy, the better your chances of success. With the sheer number of analytical indicators, trading tools, and forex tactics that exist, it’s enticing to think that if you add just one more element to your strategy, you’ll be more successful. Similarly, when you suffer a loss, it’s human instinct to blame your strategy and change things up. Although the instinct for reflection is healthy, many traders lose sight of the fact that losses occur even in the best, most well-planned trading strategies. The reason you’ve suffered a loss is almost never because your strategy is too simple. If it works the majority of the time, stick with it until you have enough data to make a more informed assessment. Consistency will ultimately tell you more about your strategy and the market than you’d learn if you were to change your approach at every loss. When in doubt, focus on identifying the strength and momentum of the current trend rather than attempting to predict (and trade) reversal thresholds. Misconception #6: Trading forex requires a financial background. If you’re not familiar with forex trading, the names of indicators and other market jargon may be enough to dissuade you from getting involved. Although there are many words and concepts to learn, forex trading doesn’t require some higher knowledge of statistics. Oftentimes, the most successful traders are those who stick to the basics. By learning how to use a few simple tools, understanding how to identify risks and rewards, and practicing smart money management, you’ll go far in forex. On the flip side, traders who have a financial background often get too confident and risk more than necessary or open too many trades at once. You don’t need expert knowledge or massive sums of money to open a trading account or make sizeable returns. In fact, best practices suggest risking less than 1 percent of your total account on a single trade. If you’re new to forex, there are a variety of video tutorials and content available online to help you learn the basics. Many brokers will also allow you to open a demo account to practice trading and use the platform with fake funds (i.e., without any risk). Once you’ve set up your trading strategy and are ready to get started, you can easily change the status of your account to go live without missing a step.